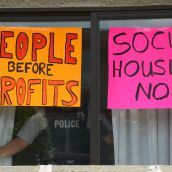 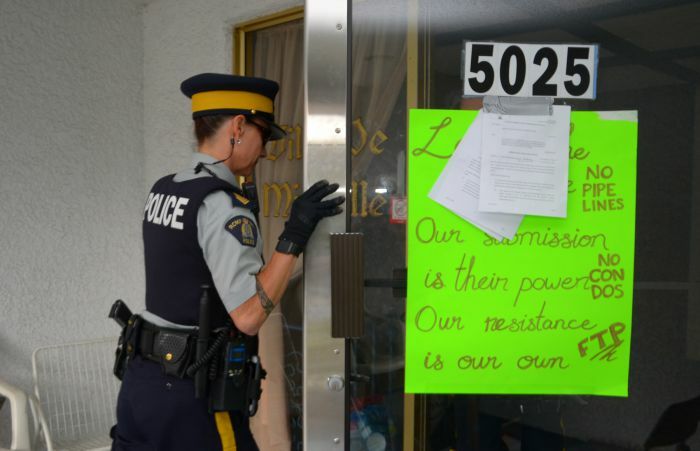 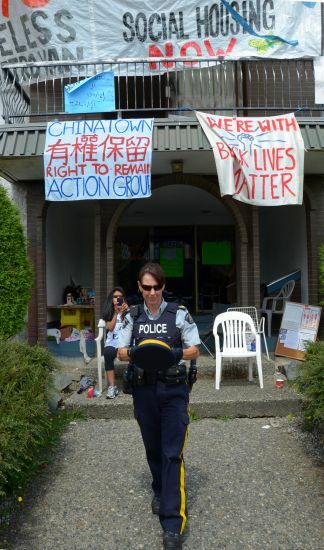 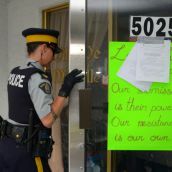 BURNABY - The RCMP failed to talk demoviction protesters out of a vacant apartment building this afternoon. 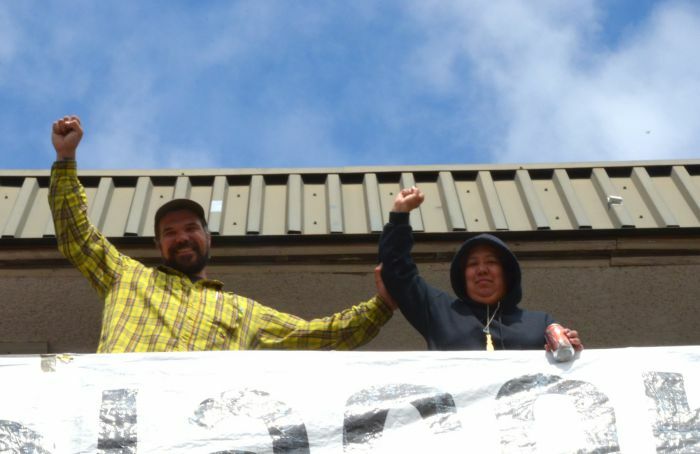 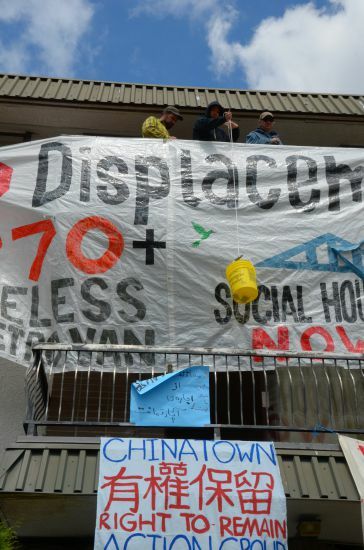 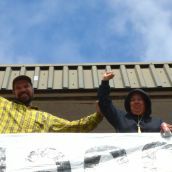 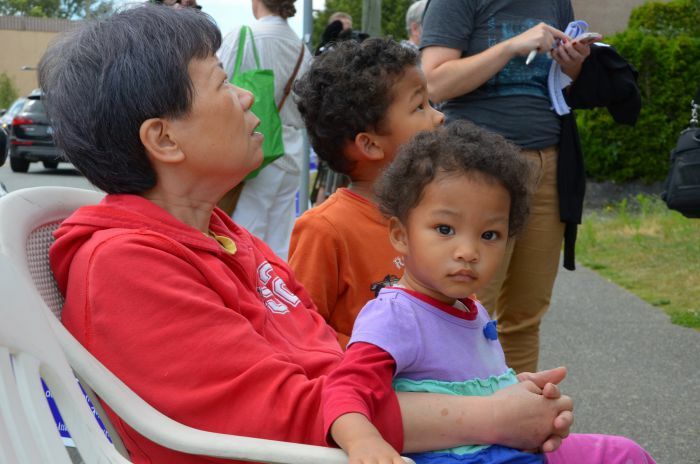 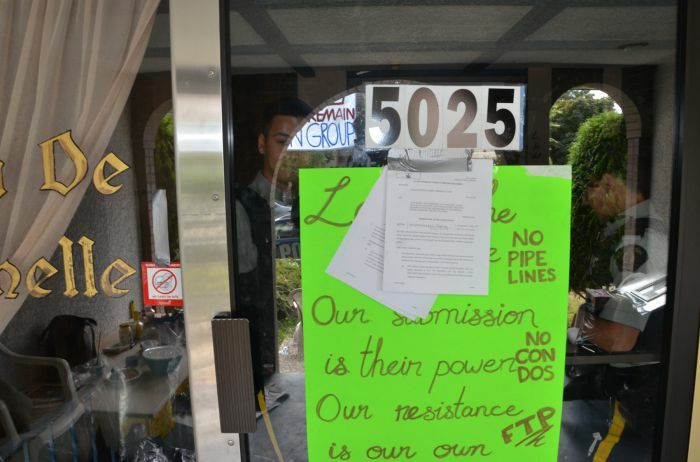 The activists have been occupying the site at 5025 Imperial in Burnaby for a week. 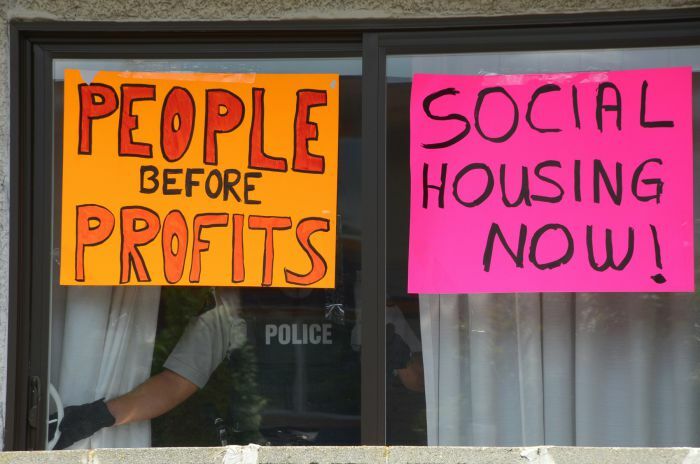 The activists remain barricaded into one of the apartments in the 23-suite building. 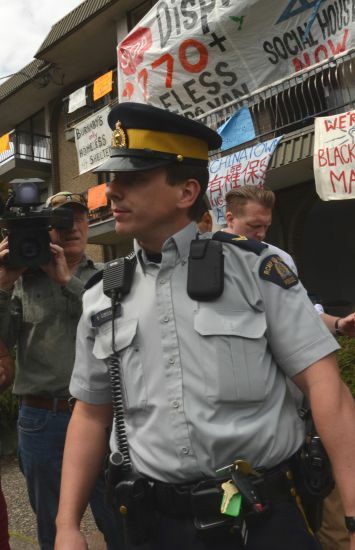 Asked by the RCMP what could solve the standoff , the protesters demanded talks with Burnaby Mayor Derrick Corrigan. 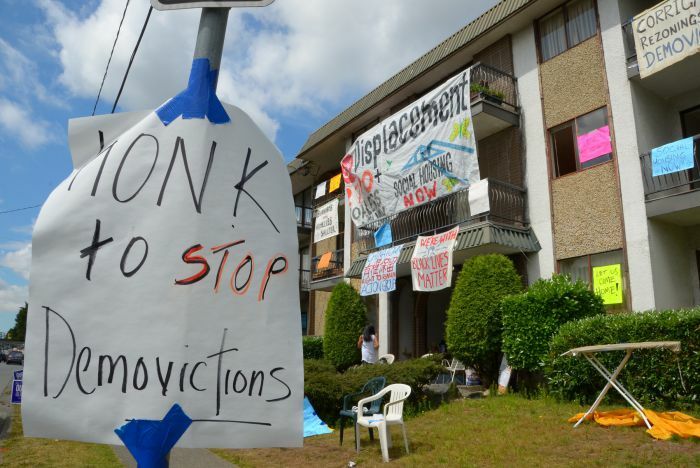 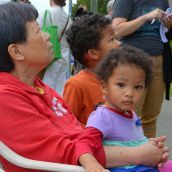 They want Corrigan to use municipal zoning bylaws to preserve dwindling affordable housing stock in an area where high-price highrises are mushrooming. 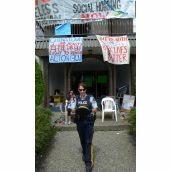 The RCMP left after repeated attempts to coax the protesters into leaving. 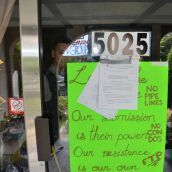 They vowed to return "without the olive branch." 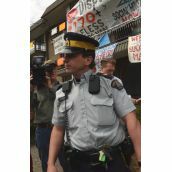 The police visit came after BC Supreme Court approved an injunction yesterday authorizing the removal of protesters from the site. 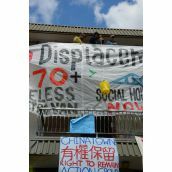 For more information visit the Alliance Against Displacement on Facebook.